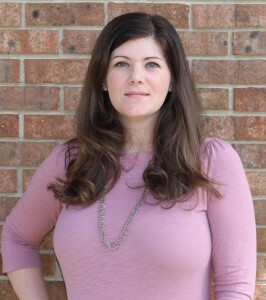 Tara Strickland serves as AgCareers.com’s Upper Midwest Sales Support Coordinator. 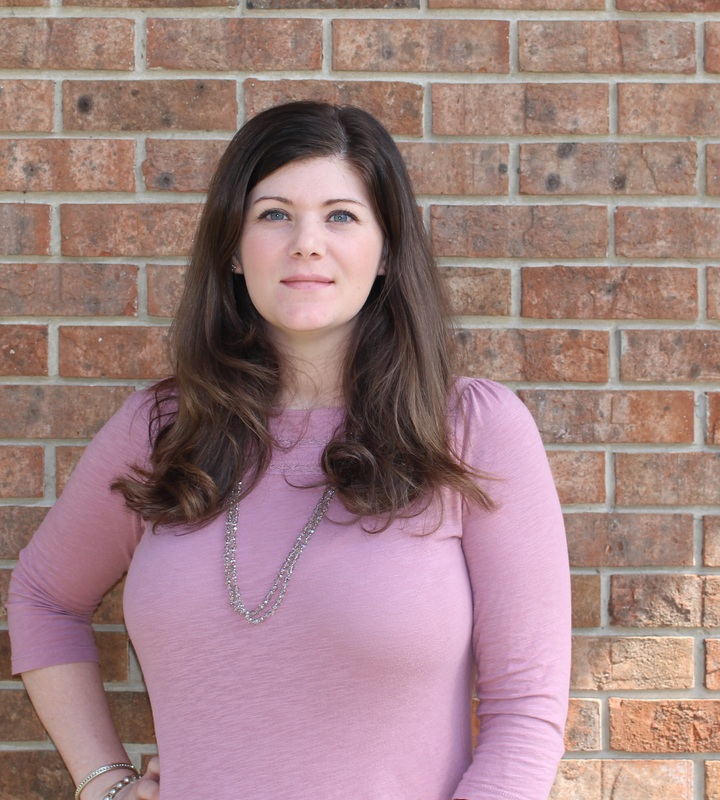 She has been with the company for more than 5 years and works from the North Carolina headquarters. I work with new registrants, and I help with current customers’ maintenance with their current job postings that are live. I also work with dormant accounts to see if they’re interested in posting with us again and some lead sourcing. I didn’t grow up in agriculture, so it’s interesting to learn more about all the different aspects. Working here helps you learn about the different companies and industry sectors as well as the jobs in the industry. I like AgCareers.com for trying to link those people to those jobs. I also like who I work with. It’s a great company; a friendly, family environment. I try to stress to them to use the resume database. I do have employers that may not necessarily have a candidate come to the posting that fits, but they search the database and find one. I also ask them to make sure to tell job seekers about their company. Unless you’re a big name brand, a lot of job seekers may not know who you are. Let them know about the room you have for growth. Are your employees awesome? Are they being recognized for it? When projects or times are challenging, or when major changes are happening to your organization, it’s especially important to recognize employees when they rise above challenges and still produce quality work. The 2015-2016 AgCareers.com Agribusiness HR Review reported: “To keep employees challenged and productive in their roles, 80.22% of respondents have a bonus system in place. 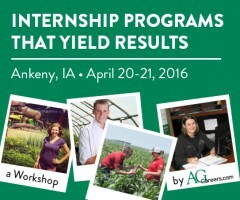 Other approaches to motivate employees included training and development (75.85%), promotion (62.64%), and notably succession/career planning (47.25%).” 91.21% of all company participants that took the AgCareers.com Agribusiness HR Review noted that staff performance was linked to a reward. With all that being said, it’s clear that employee recognition does indeed matter. But when major bonuses, training or promotions aren’t available, there are subtle, less budget-tightening ways to recognize your employees for their effort. 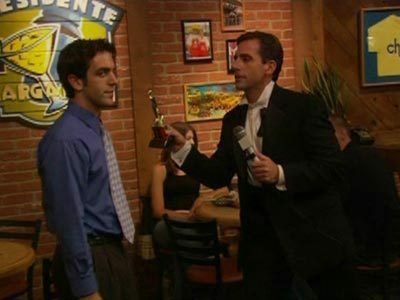 You don’t need to hold a Dundies award ceremony, but here are a few ways to uniquely recognize employees. 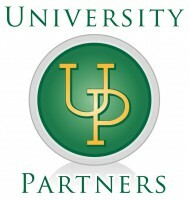 Each year AgCareers.com reviews job seeker trends on our site and evaluates the future job outlook in the ag industry. With nearly 2.3 million visits to www.AgCareers.com in 2015, we decided to take a closer look at the candidates searching for careers in agriculture and using our site. AgCareers.com has qualified job candidate traffic throughout the United States, however, the largest region is the Midwest region or those seeking employment in that region. This is reasonable as applicant location traditionally reflects where the job opportunities reside. 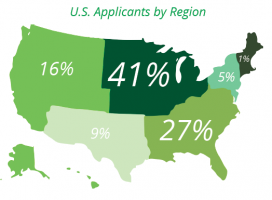 The Midwest region had the most applications (41%), followed by the South (27%) and the West (16%). Similar to the U.S., there is job seeker traffic throughout Canada, however, more than 40% of applications were from candidates in the Central region (Ontario & Quebec). The Central region had the most applications, followed by the Western region. The Western region saw the biggest jump in the past year, going from 22% to 34% of total applications. Interviewing has evolved, and there are so many ways to streamline your recruitment processes now. If you scan the surveys within the last few years from various sources, it seems that video interviewing practices are now commonplace with high percentages of adoption. Technology like Skype video provides several benefits when it comes to evaluating talent. Here are a few of my favorites. 1. It’s Free – It is easy to see why this is a benefit. When you can screen a distant applicant “in person” through Skype without paying the air fare/mileage, that’s a win! I once used Skype to interview a student for an internship opening. He was working within an exchange program in Brazil at the time. The Skype video tool allowed us to conduct a thorough interview, and we ended up hiring a great intern. 2. 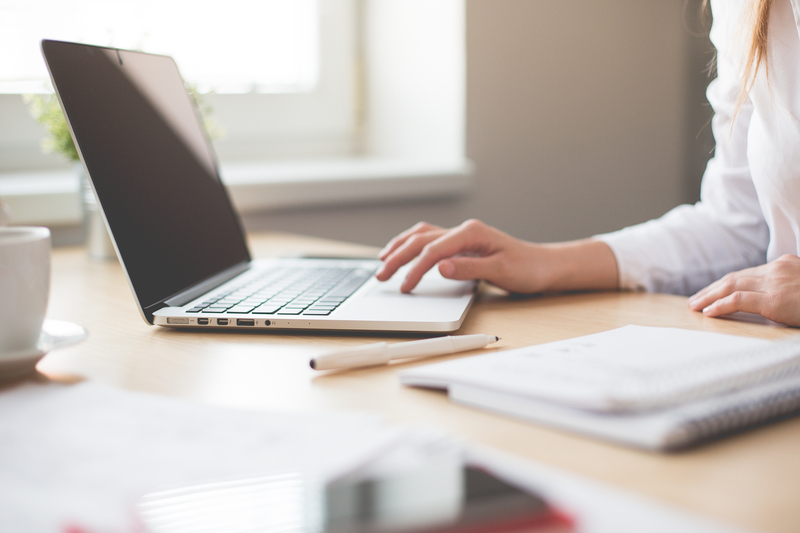 It Allows More Inclusion – If you have staff members in remote locations who need to be involved in the interviewing process, you can easily include more for a panel atmosphere. It’s generally easier to get the right people involved through a videoconference vs. in person. Advanced degrees are good for people. They help individuals become better thinkers and problem solvers and develop networks along the way. After all, a company is no more than a collection of people. The only way for a company to get better is to support the improvement of those people. Human resources professionals, especially, hold influential positions when it comes to employee development. Not only can they benefit from going back for advanced degrees themselves, but they also can influence other employees to do the same. With that in mind, here are the top five reasons why human resources professionals should consider going back to school or encourage their employees to seek advanced degrees. How Do You Know You Need an Intern? Internships are highly stressed on college campuses to students. Across the country faculty, career services and administration all promote that an internship will open the door to future career opportunities, will give the student an applied experience in the field, and help them grow their professional network. But what’s in it for the employer? Why should you and/or your company invest your time, energy, and dollars into an internship program? The obvious #1 reason to have an intern – succession planning! Look around your company. How many of your employees will reach retirement age in the next 5 years? According to the 2015/2016 AgCareers.com Agribusiness HR Review, over 50% of employers in agriculture report, 1-5% of their workforce will be retiring. Depending on the size of your company that could be one person or five people or it could be 50 or more. Do you have people who are the slightest bit trained to do the jobs that those soon-to-be retirees are currently doing? Interns are the beginning step to identifying those replacements. If you provide a successful experience for your intern(s) you’ll reap the added benefit of developing employer brand ambassadors for your company on their campuses. That will pay dividends for years to helping your recruitment efforts as your workforce continues to age and consider retirement. This is a very important time in the agriculture industry. Among the challenges of feeding a growing population, there is also a need to attract and retain a global and diverse workforce. 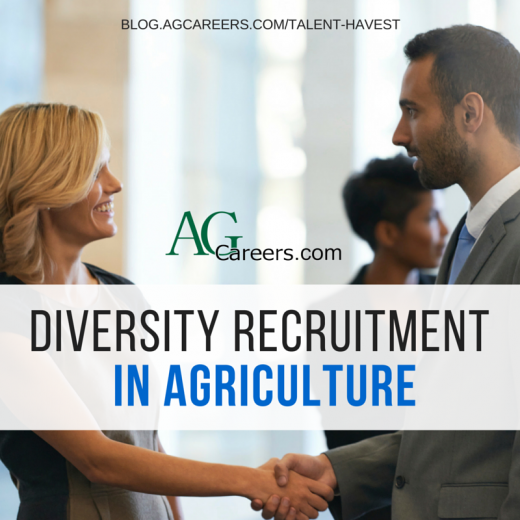 Many may ask, “Why is diversity recruitment important in agriculture?” The answer lies in the changing dynamics of our country that is playing a direct role in changing the face of agriculture. First, our nation’s population is becoming more diverse. In 2014, The US Census reported that this is the first time in our nation’s history that more than 20 million children under five years old living in the US and 50.2% of those were minorities. Further, the total minority population is expected to rise to 56% by 2060. In addition to the growth of the minority population, many of the agricultural colleges across the country have an increased enrollment of women. There are many talented individuals from non-traditional backgrounds that can contribute to the creativity and innovation of our industry. If we are going to fulfill the many jobs available in agriculture, feed the world, and sustain our existing resources, we must be open to diversity and willing to recruit, develop and retain diverse talent. Mary Barefoot is AgCareers.com’s HR Services Manager. 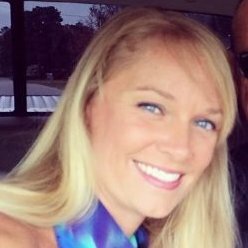 She has been with the company for 11 years and works from the Clinton, North Carolina company headquarters. I feel that my role is divided across several different focus areas, one of which would be serving as the HR generalist for our team. My other hats involve providing compensation resources to our clients through our agribusiness compensation survey called our Compensation Benchmark Review. That portion of my job is somewhat twofold in sharing the service offering with clients as well as managing the process of collecting the data and reporting the information. Beyond the salary survey, we also conduct the Agribusiness HR Review on an annual basis which provides HR policy and procedure benchmarks for agribusinesses in a given year. I personally enjoy the challenge that it presents to me on a given day. I really enjoy the variety that’s offered through my role. Staying up to date on HR legislation to connecting with clients and then analyzing data that results in information that can be applied to businesses. I also enjoy that all of those efforts are within the ag industry because I grew up on a farm. I’m very passionate about that. Women are changing the ag landscape. They’re bringing new ideas to the workplace, whether their place of work is the home office or the board room. 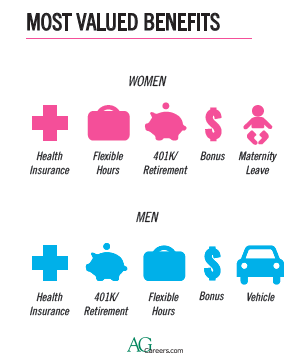 While women have varying needs and priorities depending on their stage of life, “flexibility” seems to be the one job perk that transcends the ages (as seen to the l from the left AgCareers.com “Gender Roles & Equality in Agribusiness” survey). Flexibility was certainly key when I was a developing young professional. I was working full time at an advertising agency while pursuing my MBA in the evening. Honestly, I was overwhelmed. I was a newlywed, who had recently purchased her first home and started a new job. I felt additional stress when I was traveling for work or needed to help pitch new clients. I also was stressing about the amount of homework that needed to be done each week. Thankfully, my boss was a great mentor. He had empathy and offered a solution by giving me permission to flex my work hours. That way I could finish my homework before coming into the office, so once I got to the office my attention wasn’t divided. I was able to focus 100% on my client work, and as a result, my billable hours actually went up! My productivity increased when I was working (writing) from home without any interruptions. I felt good about what I was accomplishing. When a person feels good about what she’s doing, she does a better job! 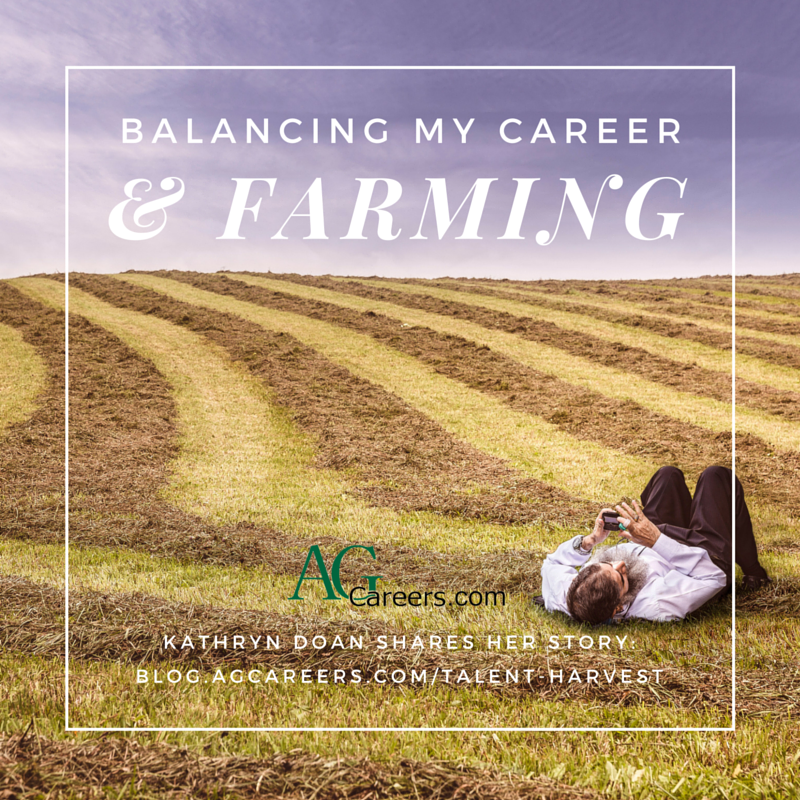 The old adage that we all need to find ‘Work – Life – Balance’ tends to be thrown out the window when thinking about balancing my office job, farming and family. It is not that we don’t have degrees of balance work and family time, it is just that when farming is involved; it tends to be an all-encompassing lifestyle. Not to say we farm for a lifestyle; however, the farm is a business and tends to be a major item of unpredictability; it could be in regards to weather, the broken piece of equipment or the final push to get crops harvested and livestock marketed. I continue to say “we” as I farm with my husband Clair Doan and my young children are of help too. However, the reason we combine farming and outside employment is twofold. First, on our farm it is a financial necessity and secondly, we don’t know any different. Working combined with farming is something we have always done because we enjoy the challenges of working with people off farm and the rewards of growing food and working with nature.